With their album HIT THE STREETS the danish outfit LEO & THE LINEUP are hitting not only the streets, but also the music clubs and - with their high-proof soul-fuelled mix of ska and (dirty-) reggae tunes also our hearts and dancing feet. The charismatic singer and songwriter LEO can rely on a fantastic band and a divine choir of charming ladies in the background. The album is brimming over with stellar smash hits like their brand new ear wig LIVE GOES BY or TIME IS RUNNING OUT (previously released on 7" single). With their wide range from party stompers like WOOLY BULLY to the atmospheric reggae ballad MOLLY GIRL, the Copenhageners have beamed themselvers into the top league of the genre. The band formed in 2008 and was actually looking for a horn section, but ended up with the discovery of three lovely singers that henceforth formed the band's sound decicively. 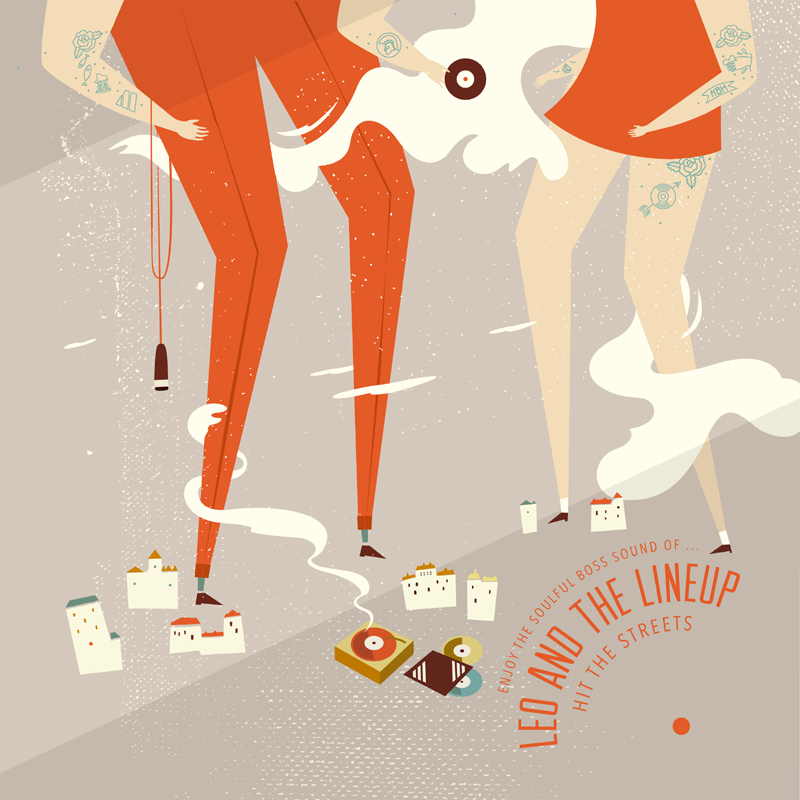 After highly acclaimed festival- and club gigs in sold-out venues, their first, self-titled album Leo & The Lineup (Rockingsteady) has been released in 2012 and brought the band already big respect from the ska and soul music experts. Asking the band for their musical idols, they would drop names like Sam Cooke and Aggrolites and that's indeed what has influenced the versatile sound of the band audibly. Hence you must not be surprised to see singer Leo being invited by the famous "reggae workers" WAGNER, RUGGIERO and LEONHARD to join them for some songs live on stage. The new album HIT THE STREETS has been produced congenially by Ask Kæreby and mixed by the inventor of the "Dirty Soul" Christian Ki Dall. The CD will be released in a very stylish designed digipack incl. 12-page full colour booklet, the LP comes from the American label JUMP UP.